Experience the gourmet tastes of mouth-watering savory charcuterie gift. Enjoy our lovely appetizing cheeseboard that includes everything needed for an impromptu feast. 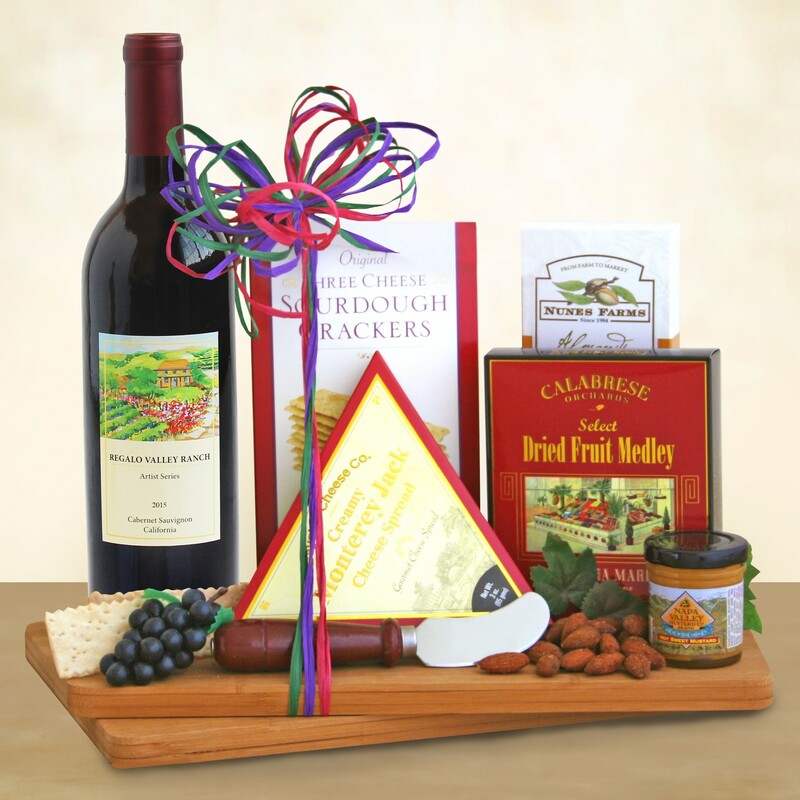 This gift includes a bottle of robust California wine paired with cheese & crackers, roasted nuts, and much more.